The Law Ministry is reportedly set to forward nearly 120 names shortlisted for appointment as High Court Judges to the Supreme Court collegium. The names were sent by the High Court collegium to the Centre, which is now working on carrying out background checks on these candidates with support from the Intelligence Bureau (IB). The names would finally be sent to the SC collegium by the end of this week, a Hindustan Times report quoted an official as saying. 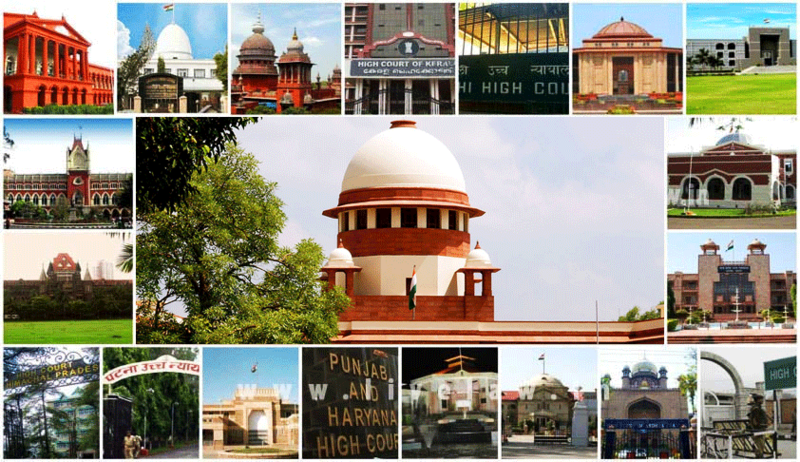 The HT report in fact claims that 69 names for appointment as judges to thirteen High Courts have already been forwarded, and another batch of around 50 names are expected to be sent soon. In a conference held last month, Union Minister for Law and Justice Mr. Ravi Shankar Prasad had claimed that the Centre was set to break its own record of appointing 126 judges within a year in 2016. Despite this, up until June, only 34 judges had been appointed, with there existing 411 (38%) vacancies out of a total approved strength of 1079 judges in the 24 High Courts of the country, as on 1 July, 2018. The officials mentioned in the report attributed the slowdown to the delay on IB’s part in providing background check reports. The agency had slowed down the process after the SC collegium made its resolutions public, often citing IB reports for rejecting candidates. The IB had then written to the Law Ministry clarifying that these reports are confidential and are only meant for the perusal of the Ministry. The IB’s concerns were then verbally communicated to the collegium, resolving the slump.